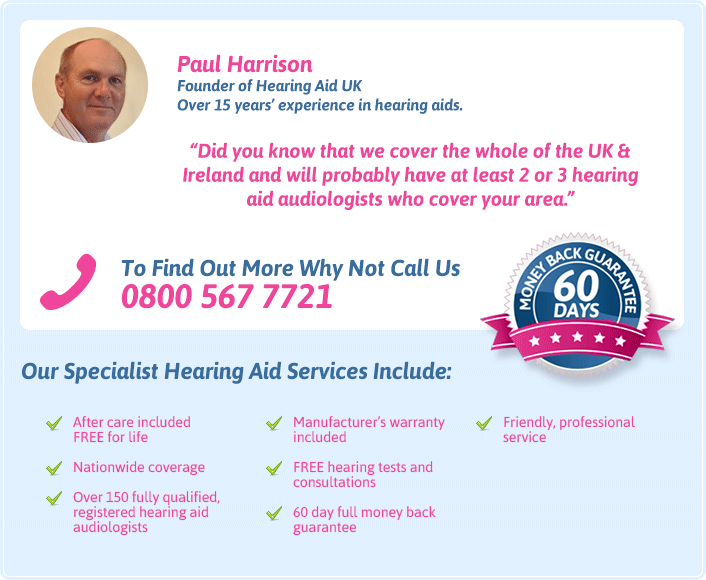 Statistics show that there are almost ten million people in the UK alone that suffer with some form of hearing loss. As no two people are affected in exactly the same way, it is important to understand your individual hearing loss. There are different levels, types and indeed causes of hearing loss or impairment. Your level of hearing loss is measured by a hearing test and depending on the results of this, your hearing loss will then be defined as either mild, moderate, severe or profound. The level you have depends on the quietest sounds you are able to hear which is measured in decibels (dB). Sensorineural - This is when your hearing loss is caused by a problem with your inner ear. Things such as injury or natural wear and tear can damage the auditory nerve or the hair cells inside the cochlea, preventing sound signals from being properly processed to the brain. Conductive - This type of loss happens when sound is unable to pass from the outer to the inner ear. It is often caused by a blockage of some sort caused by things such as infection, wax build up perforated ear drums or problems with the bones within the ear. Mixed - Occasionally, a person can suffer from both types of hearing loss at the same time. When this happens, it is known as a mixed hearing loss. There are many things that can lead to hearing loss or impairment. Sometimes the symptoms are temporary or reversible but often, the results lead to permanent hearing problems. Below are some of the main causes of hearing loss. Age - This is one of the major contributing factors of hearing loss and is known as presbycusis. It can begin in early adulthood and progressively cause the person to lose the ability to hear high frequencies as their age increases. This is largely due to general wear and tear on the different parts of the ear. Injury - Damage to the ear itself can often result in hearing loss but there are other injuries that can have the same effect. Head injuries carry a high risk of loss of hearing or can result in conditions such as tinnitus. Damage to the part of the brain that processes the information from the ear is another cause of this. Genetics - Genes can be inherited that cause varying levels of hearing impairment from very mild to profound hearing loss. These genes can either be dominant or recessive. A dominant gene will be obvious as it will appear in many generations due to the fact that only one parent needs to pass it on. Recessive genes are not always noticed as both parents must pass it on to cause the condition. Illness - Many diseases or conditions can leave the sufferer with hearing problems. Measles and mumps can result in damage to the auditory nerve and can cause profound hearing loss. Fortunately most people are now immunised against these diseases in childhood. Meningitis may have the same effect and can also cause damage to the cochlea. Many types of brain tumour will cause hearing problems as can certain autoimmune disorders such as Multiple Sclerosis (MS). A stroke can cause the same type of effect depending on which nerves are damaged. Medications - Hearing loss has been identified as a side effect of some medications. Any that have been known to cause permanent hearing loss are therefore only used if absolutely necessary. These include aminoglycosides (used as an antibiotic) and some chemotherapy drugs. Noise – Also known as Acoustic Trauma, this is a common cause of hearing loss. People most at risk from this type of hearing loss are those who work constantly in loud environments such as nightclubs or construction sites. This is because the prolonged exposure to the loud noise can damage the delicate parts of the inner ear. Listening to loud music through headphones can also be a cause of this type of hearing loss. Thanks to today’s technology, having a hearing loss does not mean that you have to forfeit a normal and active lifestyle. There are many solutions available whether your needs are cosmetic or for high end technology. Whatever the level, type or cause of your hearing loss, a qualified hearing aid audiologist will be able to find just the right solution for you.